Today Oscar had a routine bloods appointment, so we took him on the train. Luckily it took less time than anticipated, so we were able to stop off in town and look around, despite the heavy showers! It was so enjoyable browsing in all the little warm shops and we took advantage (a little) of some of the summer sales. Oscar wore his little rain cover over his push-chair until so much rain had collected in it, the world must have looked like an aquarium! Yesterday we had a visit from the health visitor who was eager to weigh Oscar; he is thankfully growing very well and now weighs more than 12 pounds! I have always loved and wanted a flower garland, not merely for picture purposes I promise! I saw these in the Accessorize summer sale, £2.50 reduced from £8.00! The little tourist shops in the lakes would have you pay at least £8.00 - I am very glad to have waited until now. Mitch may have to take serious preventative steps to stop me from wearing this to Regents park when we make passage there in late August! I have barely unwrapped it, but ohh a candle that smells like stars! 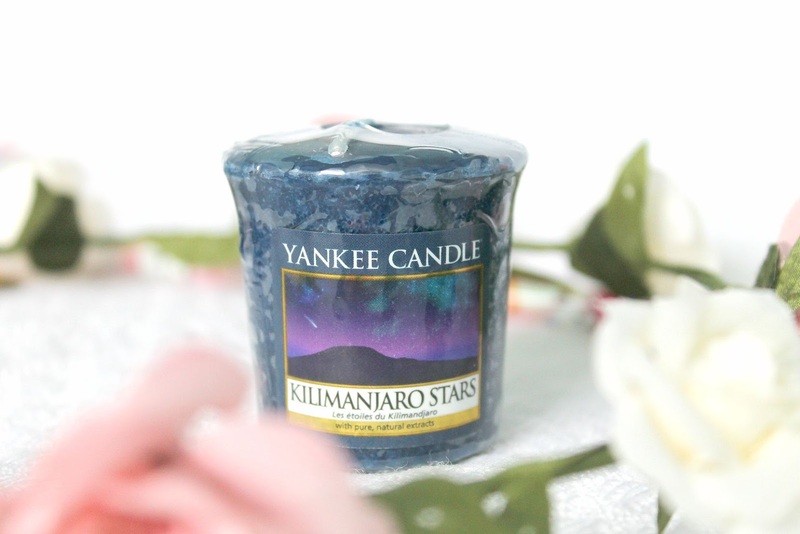 This is Yankee's 'Kilimanjaro Stars' and it is a deep, velvety indigo hue. It smells very cool, fresh, light and dewy, almost like how petals smell; quite earthy, like rain in the dark. I love it because it is not at all sickly, but like a night of stargazing within a candle. I love the idea of burning it on special occasions, but it is perfect for these midsummer nights. 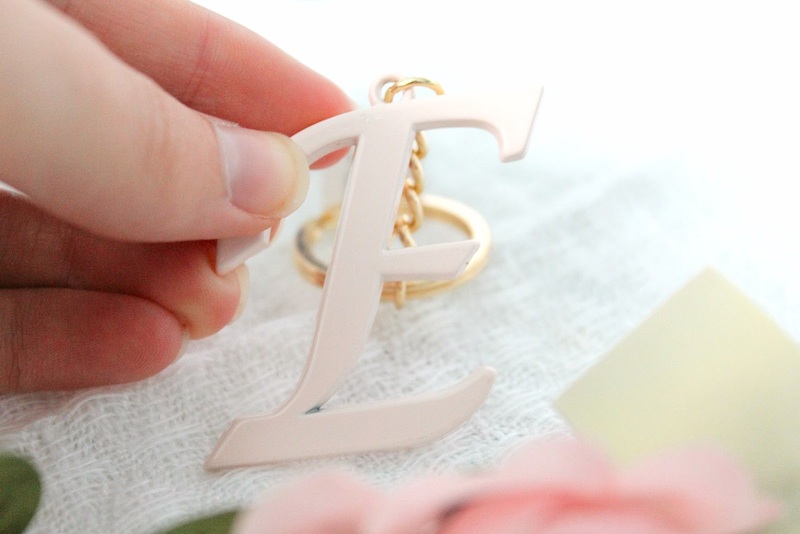 I adore this Accessorize keyring! 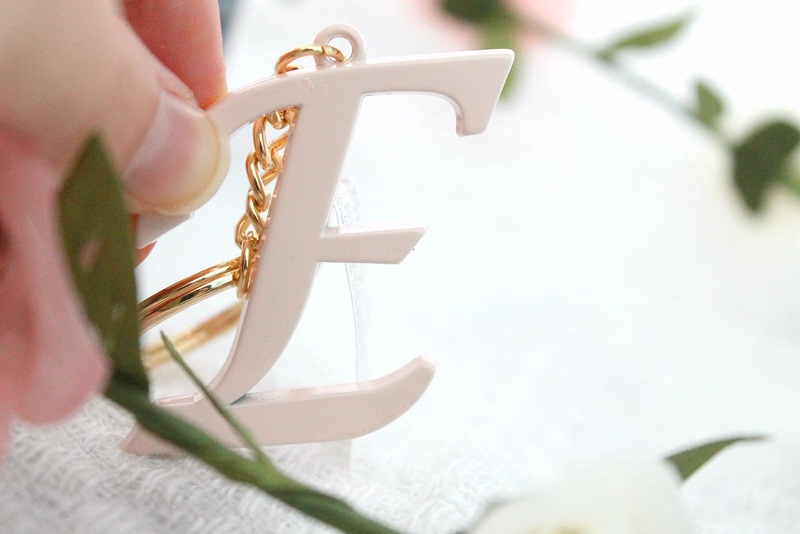 I was first attracted by the pale pink and golds but by the time I'd searched and finally managed to seek out a single 'E' I was in love. The gold chain looks slightly coppery and slightly rose gold, it looks adorable with the baby pink. It might be slightly dear for a keychain (£5!) but I keep affirming that I will only treasure it more. 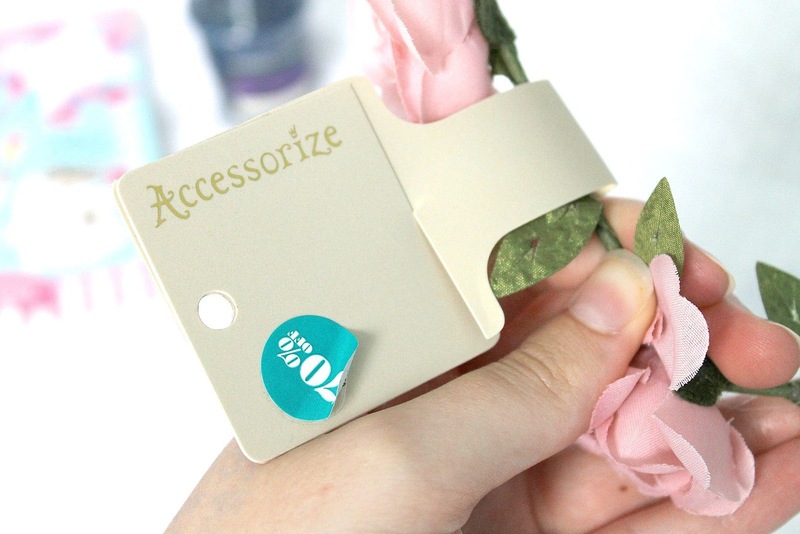 They also have lots of different floral and transparent varieties. Speaking of gaining pounds, if ever you need a gift in pretty wrapping, there is Galaxy on hand! 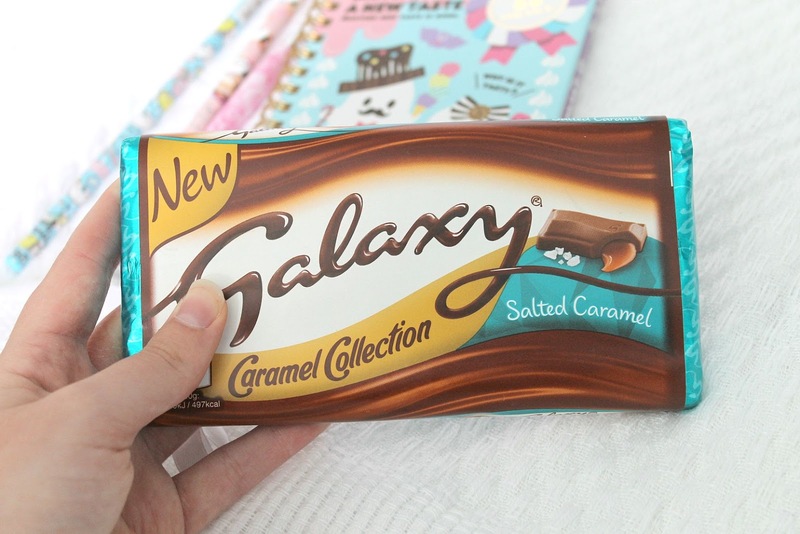 I adore this new salted caramel variety, when I was pregnant with Oscar it is all I wanted to eat! It even looks beautiful in its sapphire wrapper, I just want to store it untouched in the fridge. A couple of new San X Mamegoma and Qlia panda pencils, I love the detailed cookie texture on the back of the 'eat me' charm, it's so sweet! I will never grow out of my childhood obsession of loving pencils with charms. 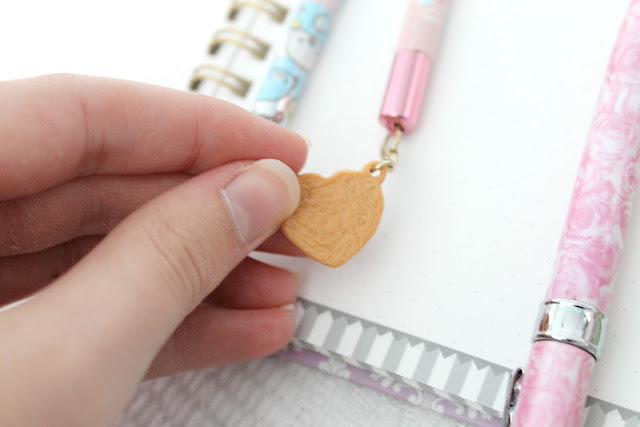 The mamegoma pencil has a little seal face 'pon the end! Have you been shopping the summer sales? I've been listening to French pop a lot, but I love this french song... so light and breezy to listen to! Lovely photos and I love the flower garland! OMG your blog is amazing and so is everything in this post. 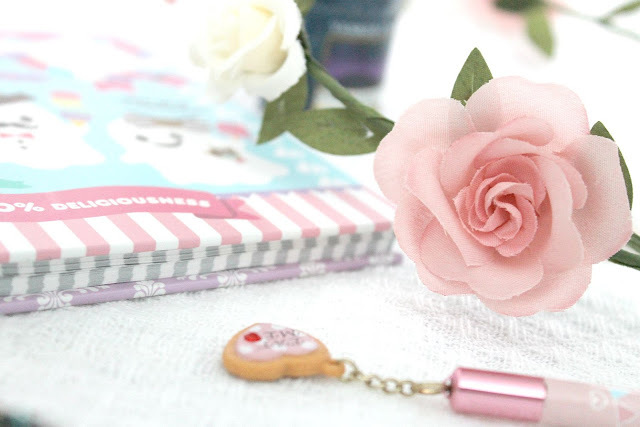 Your blog is beautiful I love the colours <3 stunning photos! I am not a fan of desserts or anything sweet in general but I have a weakness for chocolates! I've not seen that chocolate here (yet!) but I'll be sure to keep an eye for it. I want that Yankee Candle! I bet it smells amazing. 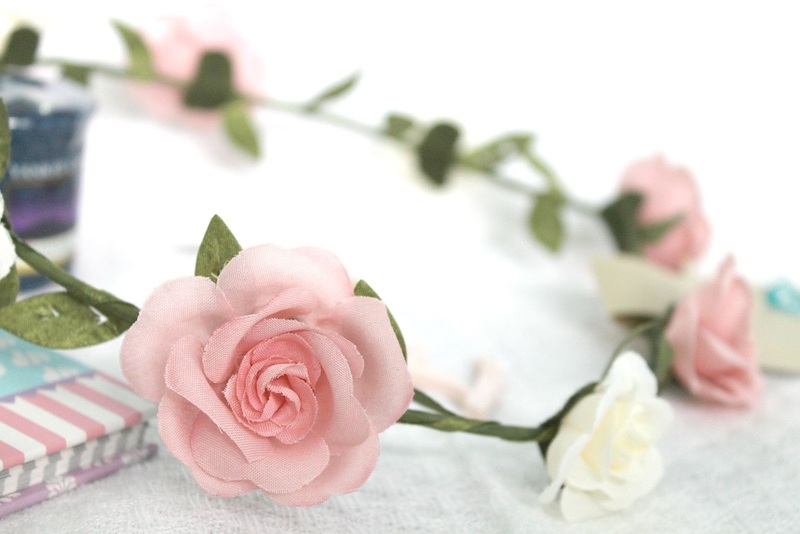 Also, the flower garland is really pretty, such a bargain too! Amazing pics!! I love Yankee Candles but here they seem rather hard to find, I wonder why. Oh I really want to eat a bar of Galaxy now! Oh yes I did shopping this weekend. I got a new short, sandals and argan oil for my dry hai. Will yet to write a post about it on my blog.